I have had a lot of work Dads in my job, work Moms have been sparing, but I could say that I have thrived more with my work Dads. I thought about writing about them today since I had to say goodbye to two of them today. For us Filipinos we always see our boss/leader as our parent as well. My former managers would probably find it weird that I think of them as my work Dad, hahaha (they don't read my blog anyway!). I love my work Dads because they usually just left me run my programs on my own. They allow me the freedom to do things the way I want it to work and they never shot me down whenever I encountered hiccups along the way. It was very much like how my Dad was with me, he only stepped in when I really needed help. I had been struggling with my health in the last five years and my work Dads knew about it. They probably have not realized it, but Julian, James, Juergen, Nelson and William were all instrumental in prolonging my life. My blood flow had dangerously gone very low at 30%. It was only after my surgery that my doctor informed me about this and they said that they were really worried that I would not make it if I had not had mitral valve surgery. I was also still running at full speed at that time working on my programs. I was really lucky that Julian and James looked out for me. It was serendipitous that James met Juergen in a trip to Indonesia and he recommended me for a role that has changed my life. It was a blessing in disguise that they insisted I move to Singapore since it was then that I began to see my cardio more regularly and he worked on convincing me to have surgery. With Jules at the Malacanang Museum. With my scout brothers and sisters and our Daddy James. My biggest worry back then was how I and family would be able to pay for my surgery. Our fallback was to sell a property in Bicol, but it would probably had not been enough. I tried to save as much as I could, but it was not enough. It was the move to Singapore that saved my life because unlike health insurance companies in the Philippines they actually cover pre-conditions. That's not Antonio Banderas, that's his older brother, Nelson (just kidding). It was my work Dads Nelson and William who saw me through my surgery and recovery. I probably gave them a fright because it took me 6 weeks after surgery before I could finally pick up my phone and say hello. William even had to come to Singapore to check if I was still alive. My surgeon also said then that he was surprised how much my company cared because they were calling twice a day to check on my progress. Me with my team mates, as healthy as I could be. It's again a new chapter in my life as I take on a new work Dad, so I thought I'd write this little piece on how my previous work Dads saved my life. 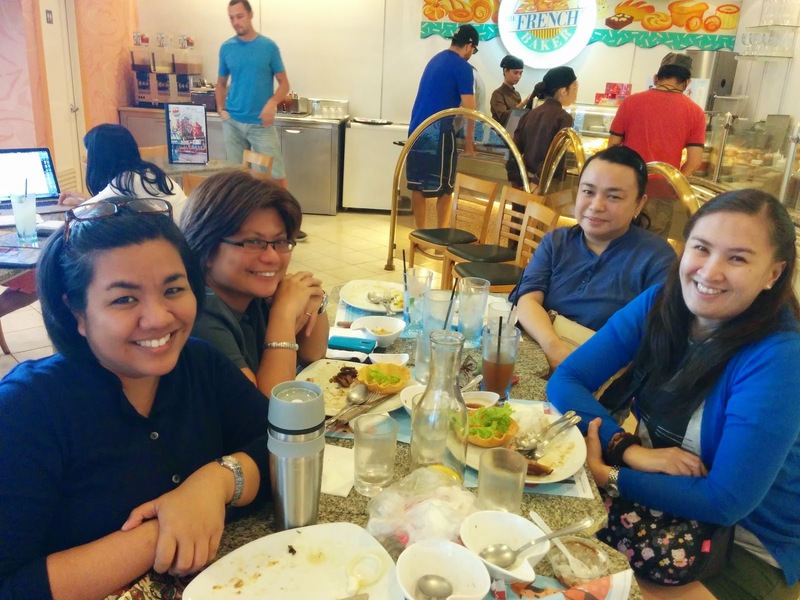 My seatmates/lunchmates 25 years ago. Rica, was seatmate all throughout high school because we were seated in alphabetical order in some subjects. Also ended up as my science laboratory partner for all 4 years of HS. She did the experiments (I hate blowing up stuff!) and I did the nerdy reports. She's now a multi-awarded film director. Ottie, my seatmate in high school, my lunch mate too and a dear friend. She's a math whiz so she always tutored me whenever I didn't understand stuff and she always shared her homework (yeah!). 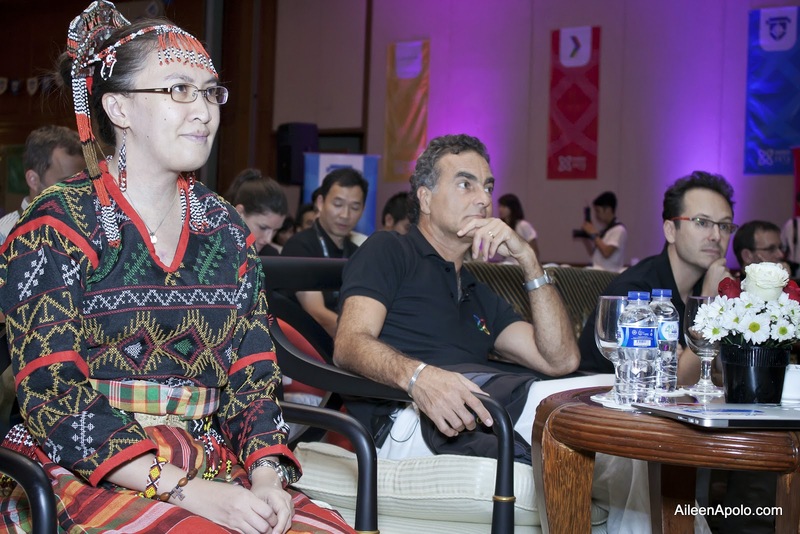 Chare, also my kabarkada, sat beside Ottie. In front me us were Seema and Mercy who bickered to no end (haha), but we always had lunch together all 4 years of high school. I had a lot of different seatmates in university, my first seatmate was Alain who came in late for class. He was an upperclassman and was seriously makulit. Rico Yan sat behind me in civil law class. When our professor asked us to change seats we ended up sitting together, but because Rico was so makulit our professor had him transfer to another seat. My son and I almost ended up on showbiz news because Rico got a copy of Miguel's photo and so people thought he was his son (argh!). The most fun seatmate I've had so far at work is Shannon. His desk was a "tourist spot" in the office because it didn't have anything on it. Seriously spotless and clean. I made the mistake of telling him "When I grow up I want to be like you", so he started to mentor me on getting rid of stuff on my desk. Sorry Shannon I'm back to my old self now and I just can't let go of the gifts best kept on my desk from friends. I miss feeding you with chocolates though! And then there was Sam, but he was always out traveling. He would always bring home some souvenirs for me though and he's getting married next week (woohoo!!!). Oh, I was also seated amongst guys (surfers!) and they always pranked each other and well because there was a large concentration of guys where I was seated I always got a lot of visits from the ladies. I have had very interesting seatmates throughout the years. One is now in congress, one designed the Pope mobile used during the recent Papal visit, one is a famous LGBT writer, and many many more who are out there having the time of the lives. 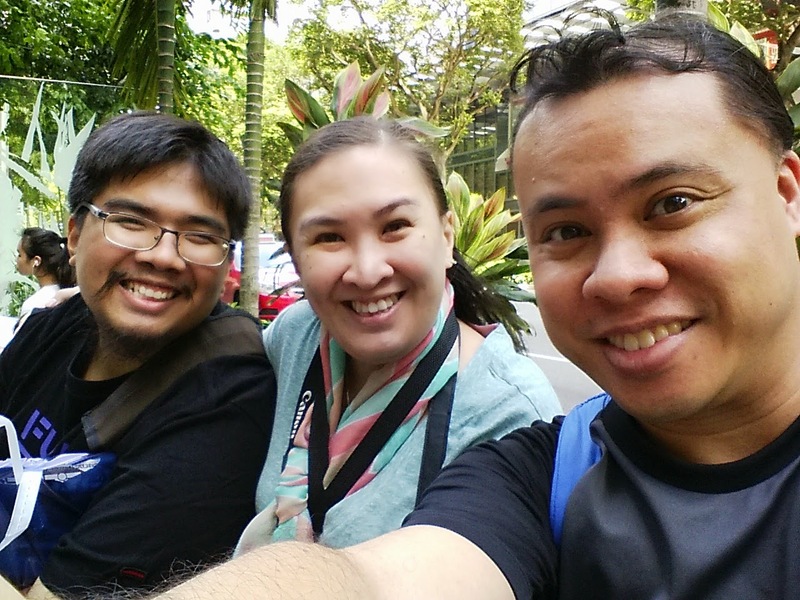 My current seatmates now are Philip (when in Manila) and a mystery seatmate (whoever's traveling) and Franz (when in Singapore). I must say that sitting with these two is a different experience altogether. Cheers to all my seatmates! During our vacation in Japan we planned to visit Legoland in Odaiba. I'm a big Lego fan and my son grew up playing with Lego. We booked tickets online a week before our trip so we can get discounts. Sadly we were turned away by the staff of Lego because we didn't have a child with us. They refused us entry even when I told them that Miguel was my son. I think they took the pun in their policy that "Adults must be accompanied by a child" too seriously. They just gave us a small souvenir and said that the refund should be received within 3 months. Disappointed we ended up in Madam Tussauds where the three of us split up since we were interested in different celebrities. Being a political science graduate most of my photos were with politicians (haha) and a smattering of cute Hollywood guys. Photo op with Sweetie's big boss. Must have photo with Mr. Nelson Mandela. Didn't get to see them when I was in London last year so this would do. This is my Madonna look. It's quite obvious now what generation I belong to. Would have loved to have Einstein as my professor. One of my Mom's favorite actresses. One of my all-time favorite movies... ET! Had to accompany the Sweetie to meet his favorite band. I had a big crush on him before (but he aged haha). After fan-girling a lot for the Menudo I never really fan-girled for anyone else (well except Leanardo DiCaprio). I was only 8 then and collected their albums, magazines and had a poster up inside my closet and nagged my Dad to accompany me to watch their concert. I must have used up all the fan energy in me because I was never the same with anyone else. Anyway, I enjoyed our trip to Madam Tussauds in Tokyo. It's a great alternative to Legoland when they turn you away. 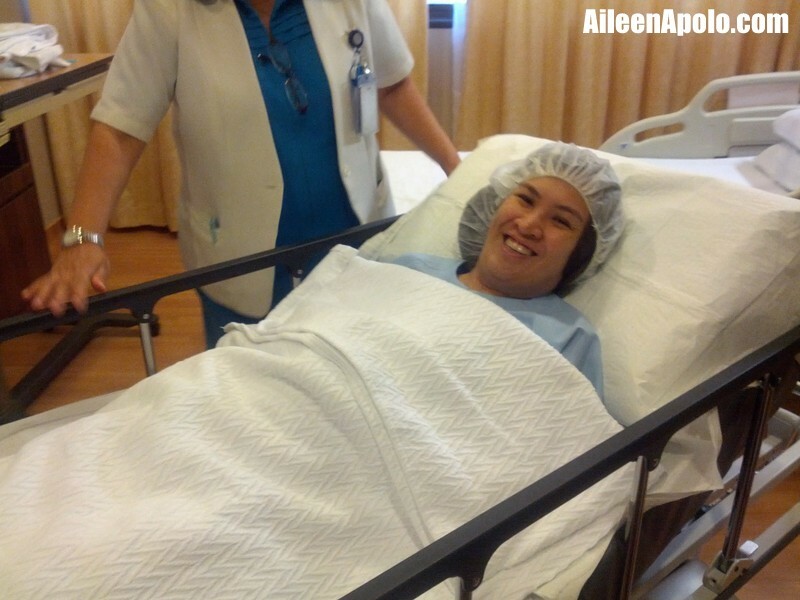 Me just before I was wheeled into the operating room. Taken a few weeks after the second surgery. I had this photo taken because I could raise my arms again. I tried on this blouse the other day... I almost couldn't get it off anymore hahaha. See I couldn't even close my coat anymore! 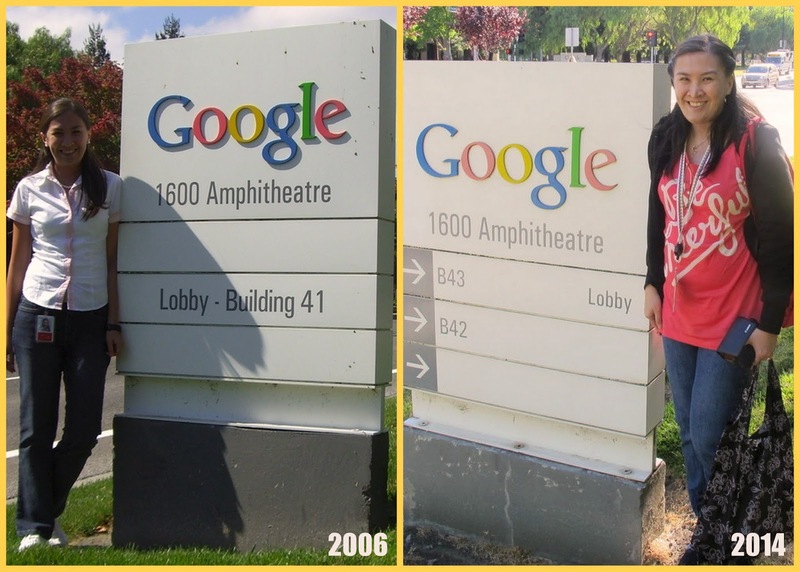 8 years in between! I've over-achieved my Google 15. Gained it twice. For those I've just met recently I had mitral valve surgery back in January 2013. The initial surgery was fairly successful, but I had complications after so they had to drain water from my heart. Instead of spending just 5 days in the hospital I spent a total of 30 days. I recovered really slowly and I don't think I'll be the same again. I feel much better now though and my quality of life has vastly improved and well let's not talk about how much weight I've gained in the last two years! I got a little scolding from my doctor for miss my second check-up last year. My nose is very sensitive so during the haze season in Singapore I really have a difficult time staying (and well I was trying to lose some weight... it didn't happen!). The findings were positive, I just need to watch what I eat and lose some weight (that's the trending topic for this post!). - Biggest adventure of the year: hiking through 7 falls in Mambukal in Negros Occidental. I couldn't walk for a week after! - Slept on my bed more this year! Just 69 days in hotels. - And a special Christmas gift, my first grand nephew arrived via Jet! This is me barreling down the mountain. I could barely walk by this time. It was a very busy year at work, but looking at my photos I'm happy to see based on my photos that we managed to slip in a few getaways. Boracay in March, Palawan in August and thanks to zero fare promos, Japan for New Year! I also met a lot of awesome and very passionate people in the last year, it's really overwhelming since I want to get to know each one of them better (that's really hard to do when you are an introvert though). As I told my friend Rose, "I'm a walking miracle." My sun almost set two years ago, but with faith and really good doctors I pulled through, probably because my mission here isn't complete yet. Happy second birthday my repaired mitral valve! Last night I had the chance to have dinner with some of our former student ambassadors. It was great to catch up with them since it's interesting to see what the students eventually do after they finish our program. One was already working for a dev company and the other is graduating soon. Our conversation though revolved around culture differences, family, their plans, population issues (some serious conversation!) and many other things. Since we were talking about future plans my ultimate dream for my students popped in my mind. I told them that it is my uttermost wish to eventually have a country president from one of them. Their jaws dropped and they looked at me in shock. They probably thought I was loony. We go through gazillions of applications for the program and one of the things that we look for is the ability to make a huge impact and instil change. The youth today is after all our future leaders so I cannot help but wonder if there's one among the hundreds of students I've had the chance to work who would eventually become a country president. I know it is far-fetched, but who knows? Last weekend one of our students had the privilege of speaking for the youth to Pope Francis. When I met him in person I took note at the back of my mind that he had the qualities that may fulfill my dream someday. He's not the only one, there's a few more I've met in the last few years that have that potential so I'm really hopeful. Dad, you've been gone for four years now. I remember the day that Mom said you were very sick and that the doctor said it was just a matter of time. You had been suffering in silence for a couple of months. Refusing to go to a doctor and you kept saying you were fine. It was Mom who finally forced you to go for a check-up and by then it was already too late. I was inconsolable that day. I just cried and cried. I had asked permission then from my manager if I could work earlier hours so I could get off early and walk 100 meters from my home to sit with you in the afternoons until Jay would pick me up to go home. We would watch TV and I would show you photos from my trips. You were always interested in the tomes of content I would put out (yes I know you used to ready my diary as well!). You wrote non-stop and that inspired me to "study writing". 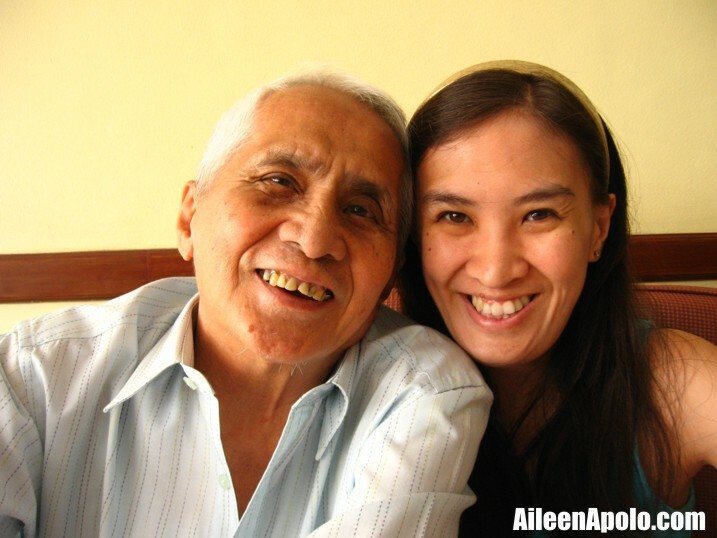 I know I'm not as talented a writer as you are or your apo, Miguel, but I strived to learn how to write because of you. It's Kuya though who's managed to publish books and not me (but I think I'm a better writer than he is hahaha). Watching you lose your strength through Christmas and undergo so much pain signaled to us that we had to let you go so you won't suffer any longer. You held on when I had to leave for a week-long trip to Singapore because I told you to wait for me. And wait for me you did. Mom said that in your last few days you kept calling out to Nanay and Tatay. They had been trying to pick you up already, but you held on and waited. You were doing quite well days before you passed. Mom said you just kept sleeping and even told her on the 19th night of January that she should get some sleep and rest. You passed away in your sleep. After Mom called me we rushed to the house to check on you. You still had a slight pulse when I arrived. I hope you heard me say "I love you Dad" just before your pulse dwindled and stopped. It was the most heartbreaking moment of my entire life. Mom was very much composed. I was a huge mess, but I had to be the one to break the news to my siblings. I thought it was unfair that I had to do that since I'm after all your youngest child, your padaba, your latak. You brought me up to be a tough cookie though and you always told me to be strong and hold on to what is most important. I cry a little every single day Dad because I miss you very much. It happens at the most random places, but I manage to hide the paid well because that's what you taught me. I would've probably made a good lawyer as you wanted me to be, but I'm too much of a scatterbrain to be one and it would've hard to fill the shoes you've left as a lawyer. Thank you Dad for loving me, for being patient with me, for being strict so that I may learn, for being stern so I will become tough, for bringing me to all those tagalog movies and for accompanying me to watch Menudo even though you had to cover your ears all night. I would never have it differently, but I should have asked God to extend your life after your first bout with cancer until after you get your first great-grandson from Miguel and not only until you manage to walk me down the aisle. I honestly thought I wasn't going to marry anymore so I made that deal with God (well He had other plans apparently). The last few days saw Pope Francis win the hearts of Filipinos an reinforce our faith. I could not be there to see him in person, but even far away I felt his presence and heard his message. I am so glad that his visit was available for viewing on YouTube through RTVMalacanang (a project I worked on back in 2011, remember this?). My deepest gratitude to the team who worked on that because I managed to take part of the visit online. I had been very active in our Parish in the past. I used to produce our parish newsletter and was active in our choir (for more than 20 years), but primarily due to my health and work I had to give those up so I could use whatever energy I had to care for my family. I've been feeling quite better in the last few months and have been thinking about how I can serve again. It's difficult to commit though since I'm always on the go. I think how I'll get to fulfill that personal goal will be revealed in the coming months. Pope Francis said, "Don't lose the ability to dream." I have been living with short term goals in the last decade (yes, decade). Wherever I am today is because I have just followed where I've been navigated to go. I am in my happy place. Things are going well in many aspects of my life and I couldn't ask for more. I had asked for better health so I can provide a better quality of life for my family when I got sick in 2008. It took a number of years before it worked out, but now things are so much better. When I read the quote from Pope Francis it made me realize that I should be stronger in my faith that I should dream and dream more. I've been so fixated on getting well that I had not made any plans on what to do after my health problem got ironed out. "Don't forget to dream, because when you do, you forget the capacity to love." I think I've live too realistically in the last decade, that's what happens when you get so hurt. 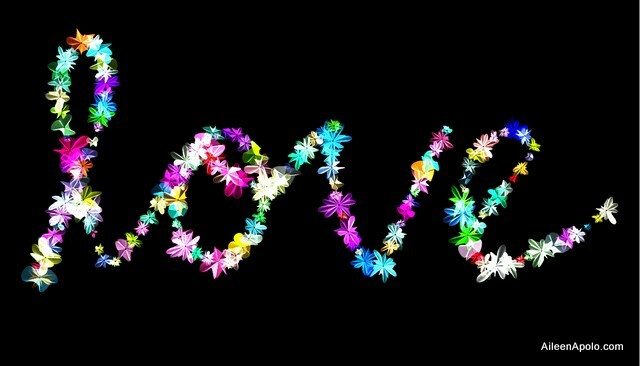 I'm glad though I did not become jaded because I was able to forgive, somehow forget, move on and allow myself to love and be loved. Now what I need to work on is my dreams and the dreams of my family. Thank you Papa God for sending Pope Francis to my country and for making me realize that one must continue to dream. Here is a song that I learned to play on the piano when I was a kid. My piano pieces perished during Typhoon Ondoy, but last Saturday I finally got a new copy of the piece and look forward to going home and playing it again. I was reading news about Pope Francis' visit this morning and the headline by USA Today caught my attention - "Pope Visits the Philippines After 20 Years". It seems just like yesterday when I spent a night in Luneta for World Youth Day 1995. I was very active in our Parish then and was a youth leader. I jumped at the opportunity to join WYD 1995 to be with my friends and to see Pope John Paul II. Aside from the amazing experience of seeing Pope John Paul II the thing I remember most is the song "Tell the World of His Love". The last 20 years of my life have really been "interesting". I spent a good ten years healing from the wounds of my youth and figuring out what I wanted to do. The next ten years was spent mostly on learning the ropes so I could get a better and stable job. The last five years was spent struggling to stay alive. I feel much better now and the quality of my life and what I could give my family is what I always hoped for (I still wish I could just live in Manila permanently though). God only gives you what you can bear and the path I threaded in the last 20 years has been a crazy one. All my heartaches healed when I finally gave up and just had God navigate my life. After that was the journey to fix my physical heart. I remain joyful despite these struggles and hope that I can be more fit so I can be of better service to others and be a better Mom, wife, daughter, servant. What about you, how did the last 20 years been for you? Half my lifetime ago I managed to be part of World Youth Day in 1995. Just like the many other students and participants I stayed in Luneta, slept on Roxas Boulevard so I could hear mass celebrated by Pope John Paul II. I didn't really expect to see him, but I did since he went around in his Pope mobile. When I saw him I felt really loved and there was just unexplicable joy from within. I remember smiling and crying at the same time. It was one of the happiest moments of my life. Much as I would love to see Pope Francis during his visit in Manila my body now isn't what it used to be. Five minutes under the sun I would melt like Olaf and would suffer heatstroke. I had to also go back to work (in Singapore), so at best I've just been praying for the success of the Pope's visit and for his safety and the safety of everyone going. Welcome to the Philippines dear Pope Francis! I hope someday I would have the chance to get a tiny glimpse of you, maybe in Rome if I manage to save up for it (and hopefully bring my Mom who wants to go there). One more month before Valentine's! A few years back when I was single I was challenged by my now-Ninang Janette to find a date in time for Valentine's (circa 2007). I didn't find one, but Sweetie and I eventually realized that the merienda break at Max's we had when we stepped out from an event was a date, well a friendly date. I even took a photo of the brownie I had and belatedly realized that it had a heart on it. I have yet to collect on my beach date with Honey (yoohoo Honey!) because we promised each other that whoever failed to get a date would buy a ticket to Boracay for the one who got a date. Well we both technically lost, but we promised that we'd go on a beach trip together (let's do it this year!). I thought finding my one true love was hopeless. The priests in our parish even wanted to put up a billboard to find me a partner! And online Ninang Janette put up a post to get me and Honey a date. I was seriously ready to spend my life of single blessedness since I have Miguel anyway and I was never going to be alone. But, lo and behold, just a day before my deadline Sweetie proposed to me! I started thinking about this again when Philip pointed out that our friends who filled up my slambook suddenly had partners a week after. My gaylas friends are all in a happy place right now (thus the many cheesy posts on my timeline!). Looking back I think God finally gave me what I've been asking for because I learned the lesson He was trying to teach me. I read a lot of books, spent a lot of time with the priests in our parish (they didn't have a choice since I was the editor of our parish newsletter then), and prayed a lot for guidance. I also changed my perspective and just waited for God to finally write my love story. I went through a lot and even my doctor said that it's what probably literally broke my heart (that's why it had to be mended!). It took me time to forgive myself for my past mistakes, learn to be happy on my own, and open my heart again to love and be loved. As I told a friend yesterday, just have faith and leave everything to God. He is after all the master of all our stories. It's a month before Valentine's! Take heart and believe that God is indeed writing your love story. It will be the best happily every after! Ranma. Samurai X (Ruroini Kenshin). Naruto. Pokemon. Sailor Moon. Voltes V. Daimos (Richard! Erika!). I must admit I know very little about anime, but I did watch Voltes V and Daimos when I was a child and watched the ending of Voltes V only when I was in my mid-20s (because it was Martial Law and government banned it from showing the ending in the Philippines). I don't really remember the plot since I was just a toddler when I watched it, but I always imagined I was the youngest character in Voltes V (haha!). Daimos was altogether something else since it was essentially a love story so I do remember Richard and Erika and their complicated relationship. After experiencing Voltes V and Daimos I was only exposed to other anime because of my friends so I cannot claim that I am a fan of anime, but my son is (he's actually taking up animation!) and hubby collects Transformers toys. We ended up visiting Akihabara twice when we were in Japan. Akihabara is essentially the mecca for anime/manga/toys lovers/collectors. It was like Santa + Christmas + First Love all rolled into one for Miguel when we went there. He could've probably light up the whole Luzon grid with his smile when we went to Akihabara for the first time. He got so confused on what to buy because he wanted a lot of stuff, so we decided to skip Asakusa and Ginza day so we could go back to Akihabara. He definitely researched and got some of the things he wanted to buy. So if you are planning to go to Akihabara to get some stuff make sure you do some research on what you want to buy and where you can get it because the place is huge (my friend Raymund says that you need at least 4 days to see almost everything). I enjoyed my time looking at the toys and checking out the gachapon (those things will bleed your wallet dry), but I told my boys to park me at the nearest Don Quixote so I won't slow down their Akihabara tour. I didn't go home empty handed from Akihabara since Sweetie found a Yoda collectible for me. I also enjoyed see some of the electronics and was amazed with the robots (I still want one that could help me clean my house!). I also now proudly own a set of Yoda chopsticks. I think if I get the chance to go back I'll do my own research as well since I've been collecting Yoda stuff. I had a lot of assumptions about traveling to Japan, two of them were: (1) that it's easy to find a money changer and that they change any currency; and (2) it's easy to buy a sim! 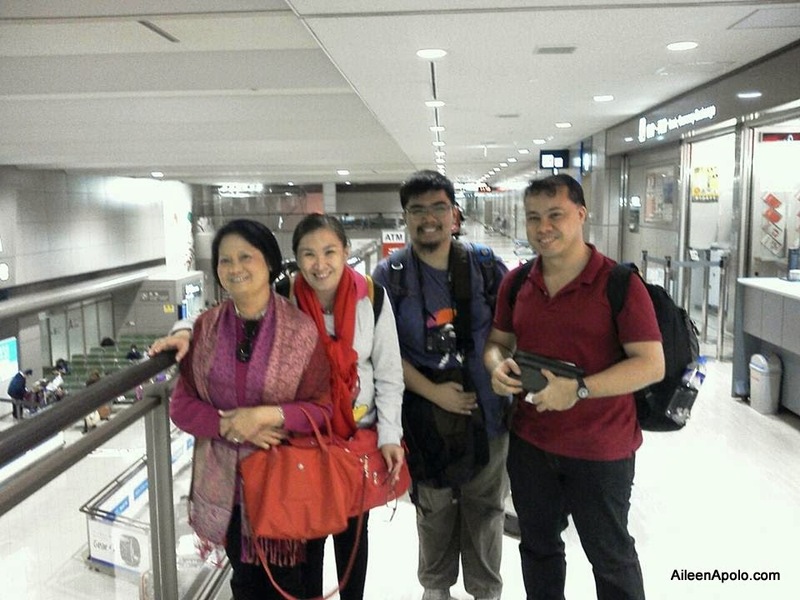 We essentially had to exert extra effort to make sure we would not get lost during our 8-day trip, so here's a few tips for Pinoys traveling to Japan. 1. Money - I actually got some Yen in Singapore before the Christmas holidays and brought Singapore dollars as pocket money. My uncle suggested that we exchange our foreign currencies at the airport. I exchanged only half of the SGD I brought and didn't realize that banks close for the New Year holiday and that it was hard to find a money changer in the city and that they only exchange US dollars (argh! but I saved some money because of that). So, best to exchange foreign currencies at the airport or just bring USD to be sure or better yet get some Yen beforehand. 2. SIM - I hate having to roam especially for data. I'm really scared of bill-shock so I always buy a local SIM. I always get one wherever I travel, but I was really surprised that it's hard to get one in Japan. At the airport they only rent out pocket wifis at $18/day (so expensive!). We found prepaid sim cards being sold a Lawson (convenience store), but the shop keeper said that it was a different size and they were expensive as well at Y3,500++. We didn't buy one since they could not reassure us that the sim would fit my phone. My uncle lent me one of his sim cards, but that one didn't work either. So we decided to just do all our research at my uncle's home and enjoy the whole day without internet. 3. Public wifi - there is public wifi in Tokyo, but you are basically required to register and activate your account (which requires connectivity to activate). We managed to get wifi with help from a good friend who shared access through her phone so we could activate our free account. Best to check the night before from your hotel/home and register before going to your intended location the next day. Stay offline, it's actually more fun! 4. Commuting is the way - I have a bad history on walking since I have flat feet. My feet can only take me around for around 5,000 steps per day before they start refusing to walk, so I really had to prepare myself that we were going to take many thousands of steps per day. Taking the taxi isn't an option since it's very expensive and the best way to tell the driver where you are going is by showing a map, so forget about taking a taxi. 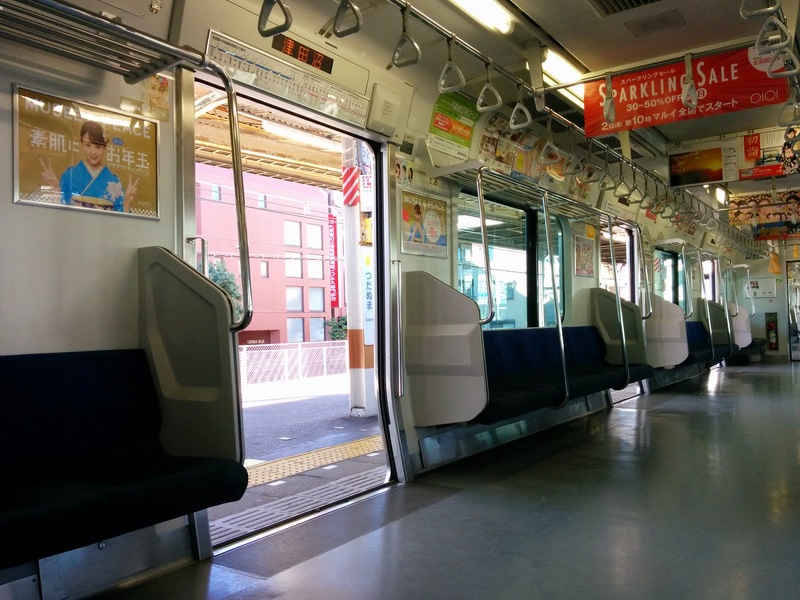 The train can bring you anywhere you want to go, so go get PASMO or SUICA reloadable card. I got help from my uncle and cousin to get a train card although the machines have the option for English translations too. Do note though that getting a SUICA card will require you to input a local phone number and your name in Japanese characters, so best to get a PASMO card (I have 2 cards now since I misplaced my PASMO card, found it when I got home). If you have trouble adding load you can get help from the train station staff (they're very helpful!) and if you can get lost the train staff will also help you find your way. Jorudan was our best friend for our train routes (aside from Google Maps), but we still had my uncle check our chosen routes to be sure. Akihabara - Y10,000 will already buy you quite a lot of Manga/toys; just make sure you have a list of what you want to buy to save time looking for it, bring much more of course if you are buying electronics/devices. It's winter now in Japan, a friend said that it's better to buy winter clothes at your destination and she was right because there was a huge crazy sale going on in Japan when we were there and we got additional winter clothes at discounted prices. It gets really cold so make sure you have the appropriate clothes (and heat pad!) so you don't get sick. My Mom taught me how to read in two ways - through newspaper headlines and through the big hardbound Disney story book we had at home. The story book contained the story of Pinocchio, Sleeping Beauty, Snow White and many others. I loved leafing through that book since it had a lot of drawings in it and my Mom made sure I took care of the book and not tear it (I think it's still on one of the shelves at home). So you can just imagine when they brought me to Disneyland in LA when I was just 4 years old. I was very much like any kid who goes to Disney - excited, happy, ecstatic, enthralled and I never wanted to leave. I don't remember much about what I did at Disney when I was four years old except that I always wanted to be carried or be on the stroller (at 4 I already didn't like walking around too much). We went back when I was 12 to visit Disneyworld in Florida and the only thing I remember from that trip was my Dad won a hat that had lights on it when we entered the gate (he's really very lucky!) and well we went to the shiny new Epcot Center. I also had the chance to visit Disneyland Tokyo when I was a junior in high school when I was an exchange student. I was terribly shy then and went with my classmates. I certainly enjoyed the rides and I remember it was quite cold in Tokyo at that time. A few years back I managed to finally bring Miguel to Disneyland Hongkong when he was 12. We went with 2 of my dearest friends from high school and that was the last time I've been to Disney. When we planned our #yolo trip to Japan we planned to make a trip to Disney the highlight of our trip (although I think the boys now think the highlight is going to Akihabara). We got our tickets online and so we breezed through the gates (skipped the long lines!) and we had the benefit of using fast pass to get in some rides without having to queue. It's winter in Japan, but the last few days the weather has been quite kind to us so we were quite shocked with the cold that greeted us at the happiest place on earth! Good thing the sun decided to go out so we managed to have a good time (clocking over 20,000 steps!). The highlight of the day for me though was watching the parade. I felt overwhelmed with the thought that finally our tiny family has managed to come visit Disney together. My Mom keeps reminding me to go and enjoy life sometimes and not to overwork. I think the boys felt the same way because we all hugged after the parade. We also had the chance to watch the evening show "Once Upon a Time" which was projected on the castle. Of course they showed all the movies which I grew up with Sleeping Beauty, Snow White, Beauty and the Beast, Aladdin, etc. and I realized that the last time I was at Disneyland Tokyo I was just 15 and had no idea what lay ahead in my life. I smiled widely because my second visit was with two of the most important men in my life right now - my handsome prince and my handsome baby prince, my happily ever after. A lot of people would probably say that Disney just presents the ideal, I think though that each person defines his own happiness and I saw that in the many happy families I saw today at Disneyland Tokyo. The weather was really cold today, but the excited, happy, ecstatic, and enthralled kids (including me!) made Disney the warmest, happiest place on earth. I've spent a couple of New Years away from home. I was asked today by a friend how is New Year celebrated in the Philippines. I said that very much unlike in other countries, New Year is celebrated in my country with a bang... actually a lot of bang-bang because of the firecrackers. When I was a kid my Mom would buy firecrackers and they would light a fire inside a drum and throw in the triangulo (a type of firecracker) for small-scale explosions. Just before midnight they would light up the sinturon ni hudas (Judas' belt) which ends with a big bang at midnight. After that we all come inside the house for media noche. It was always fun, but I've always been scared of fire so I never played with lusis (sparklers) and I realized disliked watusi since I was anxious it might cause peklat (scaring) on my legs. As I grew older I found myself hiding inside the house when all the paputok festivities were happening and the firecrackers grew stronger every year and since 2008 I've been asthmatic so I've really been avoiding the crazy way we celebrate new year in the Philippines. What I miss though whenever we spend new year in other countries is attending the midnight mass. That being said I truly appreciate how we celebrated New Year in Japan. The three of us left Odaiba just before 9 in the evening and thought that we would make it back home before eleven so we could hang out with the family. Uh, we got a bit confused with the trains so we made it back to my uncle's house at around 11:40 pm, surprising my cousin who was rushing to the train station to attend a party. We were actually kidding each other that we might end up welcoming the new while we were still in the train. Haha! 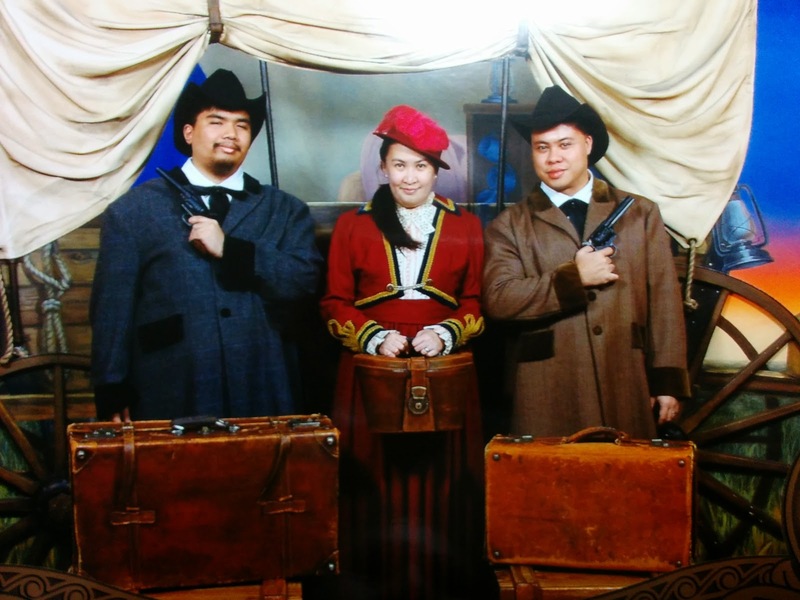 We made it back in time and hung out with Uncle Fumio and Tita Pet. We asked a lot of questions about how New Year is celebrated in Japan. During new years eve people go to the temple to pray and this is what is featured on TV. On new year's day people basically just stay home and eat and eat and eat and spend time with family. That's actually how mochi was created. Mochi is made out of sticky rice and is made to last a couple of days so wives can rest and relax for a few days during the new year. The next day Uncle Fumio toasted some mochi for us and prepared some soup. He said that it is traditionally served during New Year for long life (the soup was very tasty and the mochi was heavy on the tummy and really matched the soup). 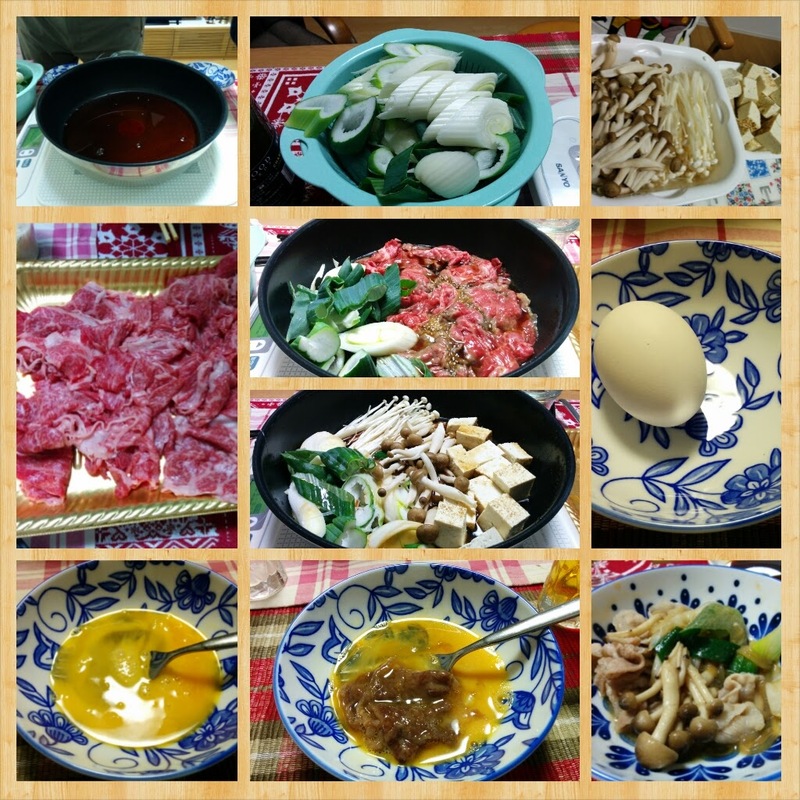 My other cousin arrived on new year's day with her husband so we had a grand sukiyaki dinner prepared by Uncle Fumio. As he said, new year's day is spent eating and eating and eating, so it was bottomless sukiyaki for us. After the bottomless sukiyaki we had chocolate cake and bottomless fruits (haha!). The last few new years for me have been troublesome because of my asthma, so I think maybe it would be great to just celebrate new year where the air is clean and I can really enjoy without worrying about getting sick. The last time I was in Japan I was part of a short term exchange student program back when I was in junior high school. Back then we were allowed to select an elective, I wasn't able to sign up for my original selection so I ended up in the cultural anthropology class (if I remember correctly). There were only about ten or eleven of us in that class because part of the requirement was to spend about 10 days in Japan for a cultural immersion. According to my old passport we went at the end of October in 1990. We attended Nihongo classes in a local school and attended some of their classes as well to observe. What was memorable though was staying with a Japanese family where we really experienced local life. I was with my class partner, La Raine who we had to nickname Bambi because our foster parents wanted a simpler name for her. We got really attached to them and they even sent us a copy of the video they took of us after our trip. I remember exchanging snail mail with their daughter for a couple of years, but I eventually lost touch with them (I probably still have her letters somewhere). Oh, and, of course, we went to Mt. Fuji for a night and we were all forced to experience the public bath (it's something unheard of in the Philippines). During that time my Uncle Fumio and Tita Pet had moved back to Japan from Bacolod and they visited me at my foster parents house. 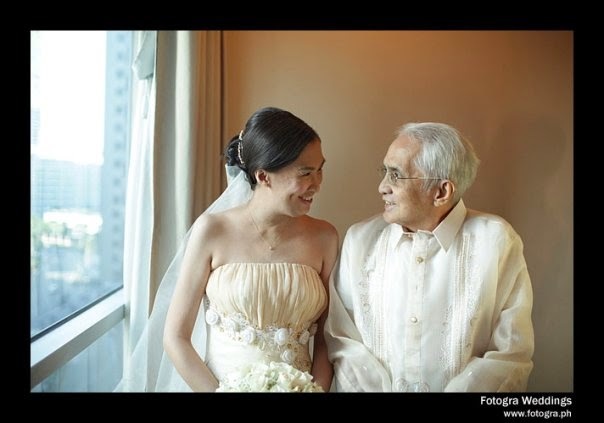 I had been a flower girl during their wedding since I grew up with Tita Pet (my Mom's first cousin) at home. My foster parents were so overjoyed with the visit. Fast forward to 2015, yes, that's how long I have not managed to visit Japan. I always wanted to go back. Sweetie and I got lucky last July when we were able to book promo fare tickets for the three of us. So here we are spending a few days in Japan staying with relatives. I have not seen my cousins for 8 years so it's truly a joy to spend time with them and catching up. We arrived last December 30 and spent the day planning our itinerary for the rest of our stay and Uncle Fumio teaching us how to take the train. The highlight of the day was eating a gazillion sushi near their home. I absolutely loved the salmon sushi and ate countless plates (hahaha). Walking back to the house we passed by the supermarket to get some yummy matcha ice cream (it was divine!). (Jay's highlight of the day was eating rice again after 400 days!). Jay eats rice again after 400 days! Must have matcha ice cream! One thing we didn't realize when we booked our tickets during a yolo moment was that it would be winter in Japan during our trip. What we saved on tickets we spent on buying winter clothes (for the boys mostly). Investing in Uniqlo Heattech undergarments is a must for your winter attire. Aside from that Uncle Fumio also told me to get pocket disposable heat pads, it's a must-have to survive cold weather (like my Dad I really don't like it when it's too cold). Miguel sporting his snuggly warm winter jacket. Jay eating ice cream at 2'C. Brrrrrr! Tomorrow, new year in Japan and seeing a gigantic toy! The work side of my brain has gone on leave and my writing muse has been bugging me to write the last few days. I'm supposed to be crunching some numbers to see how productive I've been, but I just can't seem to get my brain to cooperate. If I was going to describe 2014 in one word I would say that it was a very PRODUCTIVE year. I took a couple of vacations this year - Boracay for a few days with my boys and my Mom and a longer one in Palawan last August also with my boys, but I must admit that I was not able to fully turn off work from my mind because I just had a lot of things ongoing. The short breaks though helped prevent further burn-out and gave me time to clean our tiny home. The after-effect though is finding myself unable to be productive in my last work week (although I can actually use this week to compensate for all the weekends I worked this year). I know my body would never be the same as before. Knowing my limits post-surgery I think has made me more aware of what I can and cannot do and I thank God that I am surrounded by people who understand my limitations and who help compensate when I am unable to do some things. I'm also glad I have my Mom's positive outlook since despite my limitations I am still able to do a lot of things I thought I wouldn't be able to do. Went to London for the very first time! Managed to do 2 local vacations with my family (Boracay and Palawan - I will never forget the monkey that attacked me!). Visited Siem Reap for the first time and of course went to Angkor Wat. Had more than 100 additional children. Went to the US again after such a long time. Survived hiking through the 7 falls of Mambukal (I couldn't walk for over a week!). In between was a gazillion stuff I did for work. I missed a lot of get togethers and weddings though. 2014 was also full of trials with family getting sick, losing Tito Ben and a couple of friends and other issues. I've learned not to stress out too much since I know you are only given trials that you can handle, but it was still quite a hard year. I met a lot of really amazing people in the last year from all over Asia (that's aside from the 100++ children I now have) and I'm just really thankful for the opportunity to meet all the wonderful people in the last 12 months. It's really going to be hard to name all of you, but you know who you are. I know I'm sometimes quite limited by what I can physically do, but I hope that all of my new found friends know and feel that I care for them. All I could say is, "Thank you for coming into my life." In 2015 I have a very basic plan: improve my work-life balance and get to the right weight as prescribed by my doctor (I need to choose between 2 different recommendations though! ), but I would basically like to go down a size so my other clothes can fit again and I would like to be able to spend time to serve as I used to (it's really challenging when you keep traveling). 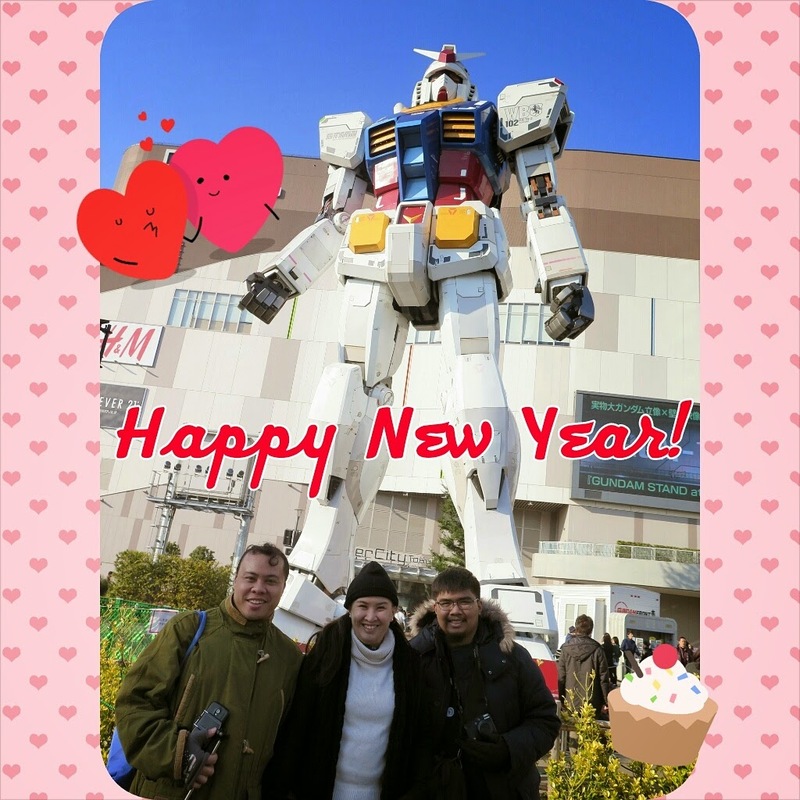 I know 2015 is going to be a great year since we ended 2014 with a very special family trip to Japan! Got tickets at promo fare, we didn't realize though it would be winter! Haha! All's well though since we're very much cared for by my Uncle Fumio, Tita Pet and cousins. And that's what you're going to read more about in the next few days since I'm once again doing the 30-day blogging challenge!